You can get your first taste of 'Czarface Meets Metal Face!' with the track "Nautical Depth"
Rap hero MF DOOM is once again picking up his mask and readying a new album, this time with Wu-Tang Clan offshoot Czarface. The collaborative album is appropriately called Czarface Meets Metal Face!, and it's set to arrive on March 30. With Czarface being made up of Wu-Tang's Inspectah Deck, 7L and Esoteric, they've given us a taste of what's in store with lead-off single "Nautical Depth," which you can hear below. So far, there's no tracklist for Czarface Meets Metal Face!, but confirmed guests include Open Mike Eagle and Jedi Mind Tricks' Vinnie Paz. 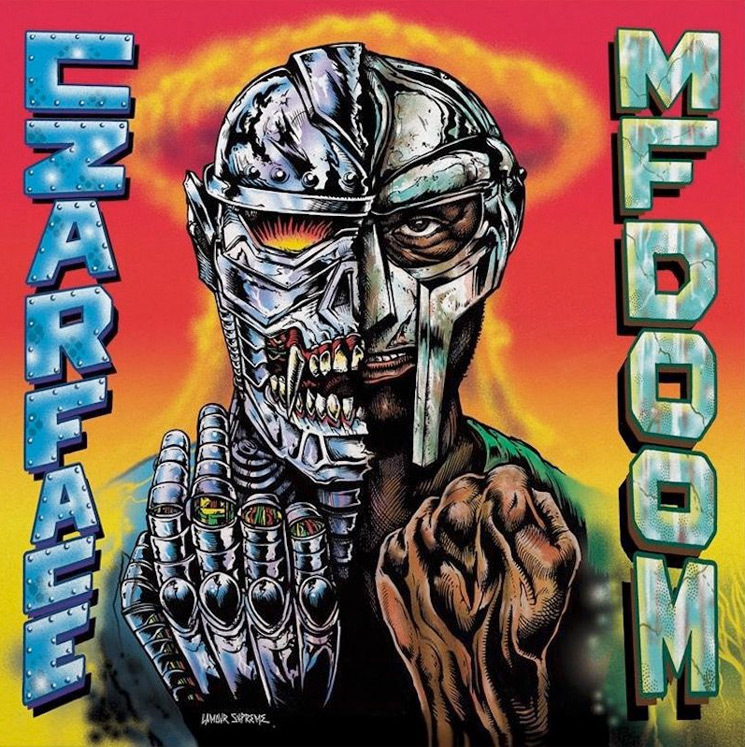 MF DOOM and Czarface previously jointed forces back in 2015 with the track "Ka-Boom," which appeared on Czarface's album Every Hero Needs a Villain. As previously reported, MF DOOM also recently revealed he'll be contributing to Bishop Nehru's new album Elevators: Act I & II.